Sweet potatoes make this chili really hearty. No one will miss the meat! Perfect for a cold night or a lazy day around the house. 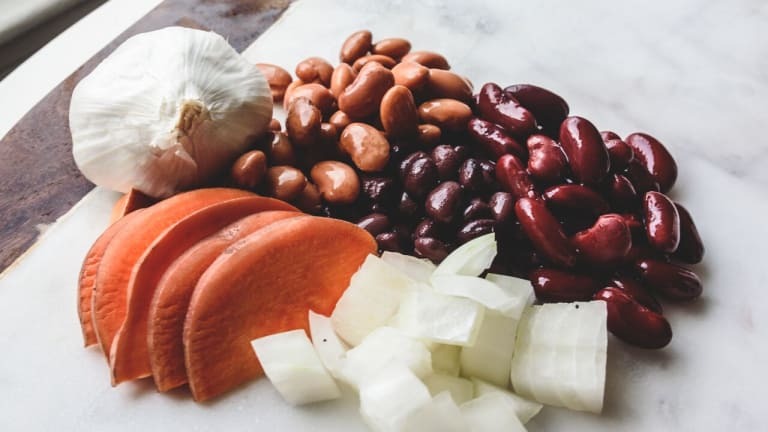 Paleo: Substitute beans for 1lb of meat of your choice. Place all ingredients, except the spinach, in a slow cooker. Cover and cook on low for 6 hours. Add the chopped spinach for the last hour of cooking. Top chili with desired toppings.